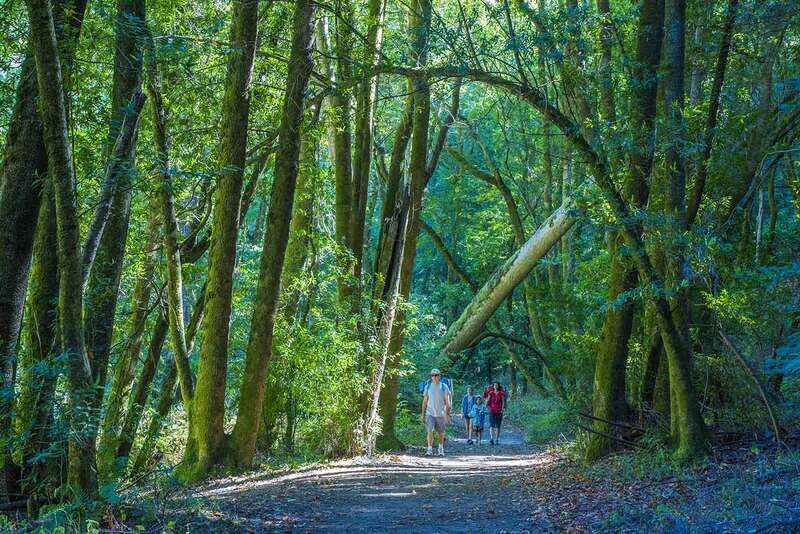 This unique hike explores the deep oxbow gorge of the lower San Lorenzo River, which is by far the best part of Henry Cowell Redwoods outside of the old-growth grove. 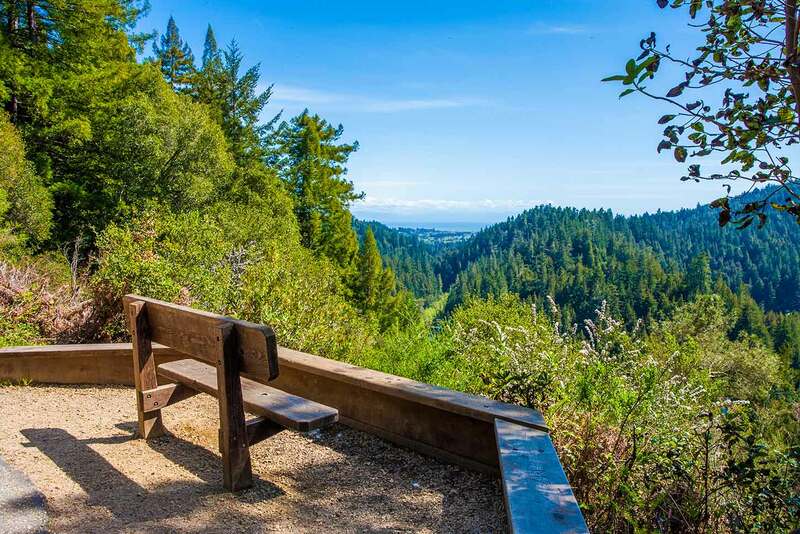 The lushly-wooded gorge has a much different look from the rest of the park; it’s surprisingly unspoiled and scenic, with redwood forests that in places look almost like old growth. The route involves wading across the wide, green-tinted river four times, adding a fun element to the hike and making it ideal for warm late-summer days. The river can usually be crossed from July through October; at other times the water is too high. In summer the first crossing is usually about 3 to 4 feet deep, while the others are about knee deep, so expect to get wet. 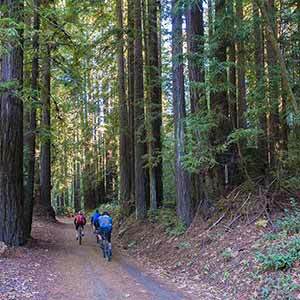 Henry Cowell park is a popular destination for horseback riding, and except for Pipeline Road the trails are liberally scattered with horse manure. 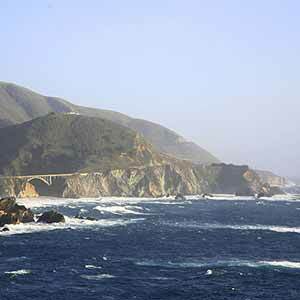 Begin at the popular Rincon parking area on Highway 9. 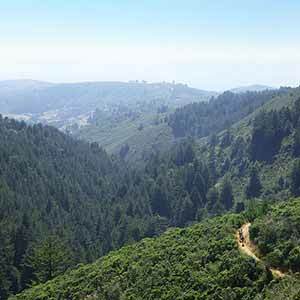 The trail crosses a set of railroad tracks and begins to descend through second-growth redwoods, lush with ferns and redwood sorrel. The trail then turns and parallels the river, passing through an especially attractive streamside forest. Stay to the left to access the Diversion Dam Trail, which climbs a little ways up the steep hillside, offering a nice view of the river far below. The trail descends to the first river crossing, which is the most daunting. Just before reaching the river the trail peters out, and there isn’t any obvious way to cross or even reach the river. Pick your way down the slope to a small sand beach. To your left, the river cascades over some large rocks, while directly in front of you is a large, deep pool, with the trail on the other side clearly visible. You can’t see the bottom of the pool so there’s no way to tell how deep it is. It looks like it might be easier to go over to the rocks and cross there, but it’s not. The trick is to go right, where there’s a relatively shallow spot near two large rocks that just barely poke out of the water. The bottom is studded with large rocks, but the rocks are slick with algae and it’s best not to stand on them. This crossing is normally 3-4 feet deep in late summer and is by far the deepest crossing of the four. On the far side is a small sand beach. 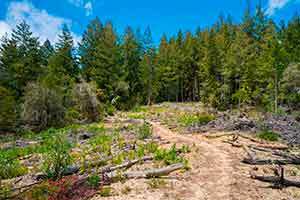 The trail begins climbing through unexceptional second-growth redwoods with little groundcover. Turn left onto Rincon Road and continue climbing. The road levels out at the Big Rock Hole Trail, which may not be marked (although there is a "no bicycles" sign on the trail to your left). Turn right onto the trail and begin descending. The forest is remarkably scenic in this area; with some pretty good-sized redwoods and very few stumps, it looks almost like old growth. At one point there’s a great view of the river below. 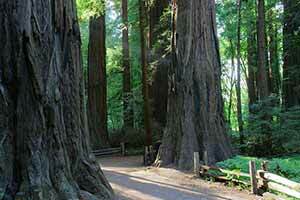 The redwoods get smaller as the trail descends. The trail emerges from the forest at a rocky beach surrounded by the steep, densely-wooded walls of the gorge. The trail doesn’t immediately cross the river; look for a faint path in sand to your left. The second crossing is the easiest; the river is only about 18 inches deep and not that wide. Small rocks line the bottom and the trail on the other side should be clearly visible. Once on the other side, the trail climbs gently up a low wooded hill inside the bend of the river. 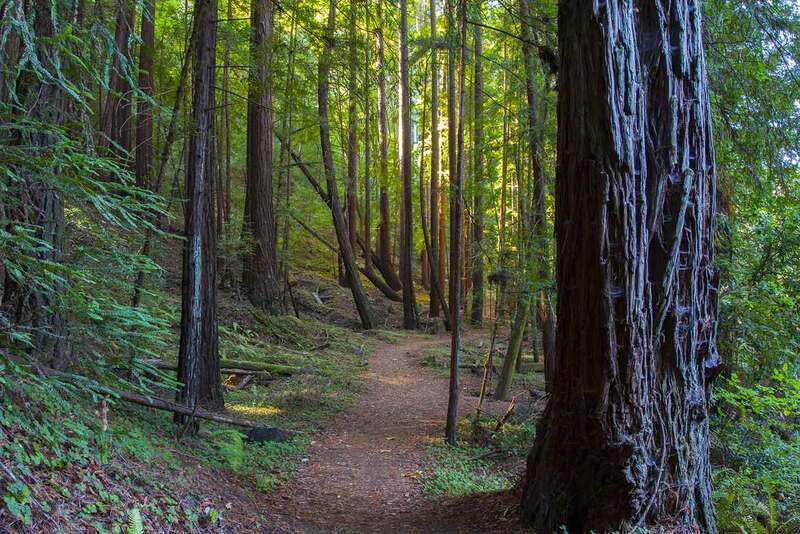 This lush, attractive area, which can only be reached by wading the river, is the quietest and most remote part of Henry Cowell ad the best part of the hike. The trail, which is clear but somewhat overgrown, runs along the edge of the forest, providing views of the wide rocky flat that becomes part of the river bottom in winter. 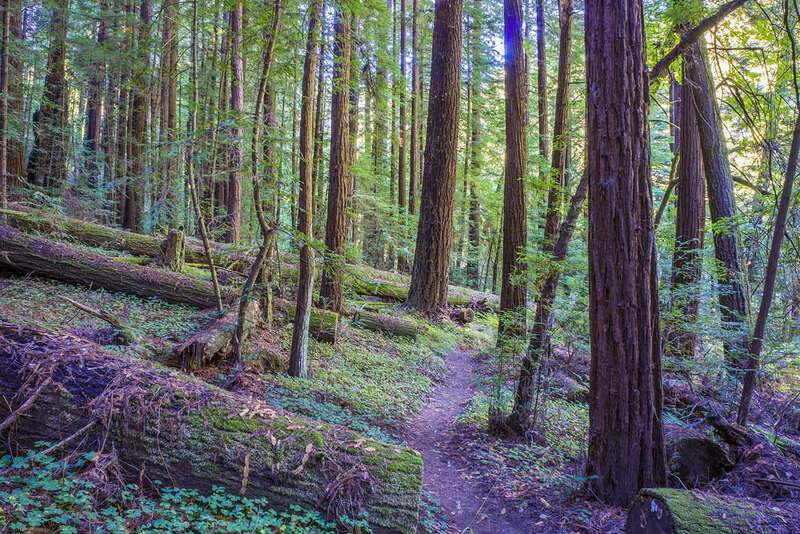 The trail loops through a very nice redwood grove on a small alluvial flat. The shady grove of small second-growth trees has a carpeting of redwood sorrel. The trail soon emerges again at the river’s edge. The trail emerges at the final crossing, which is a bit of a challenge because a stretch of trail that used to run along the opposite bank has been washed out. The best way to cross is to go downstream a little, cross to a narrow island, and make your way downstream to the end of the island before crossing to the far bank. The trail should then be nearby. A long, moderately steep climb through a mixed-species forest follows. 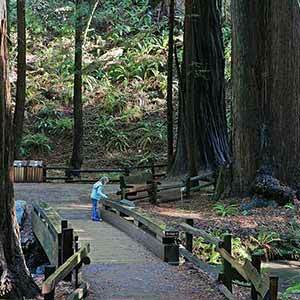 The trail ends at the paved Pipeline Road, which is the most popular trail in the park outside of the old growth loop. Turn left and enjoy the easy stroll up a gentle incline through bright woods. The trail crests at a bench with a commanding view of the green San Lorenzo River valley, including the big bend you just hiked through. In the distance the town of Santa Cruz, the Monterey Bay, and the mountains on the other side of the bay are visible. Continue a short way on Pipeline Road and turn left at the next trail. Turn left again onto either Big Rock Hole Trail or Rincon Road. 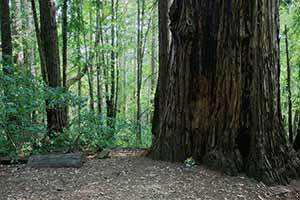 There are a few large trees including the Cathedral Tree, but the woods are otherwise unexceptional. 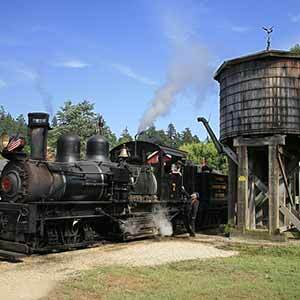 As the trail descends to the river, the hoots of Roaring Camp’s steam trains and the sounds of traffic on Highway 9 echo through the valley below. The final crossing is narrow but about two and a half feet deep. The river bottom is covered with large slick rocks, which makes the crossing a little challenging. Climb up the sand beach on the other side and climb back to the parking lot on Rincon Road. Current height of the San Lorenzo River at Henry Cowell State Park, from the USGS National Water Information System. The river depths mentioned above correspond to a gage height of about 3 feet. Gurmeet Manku has some pictures of this hike. 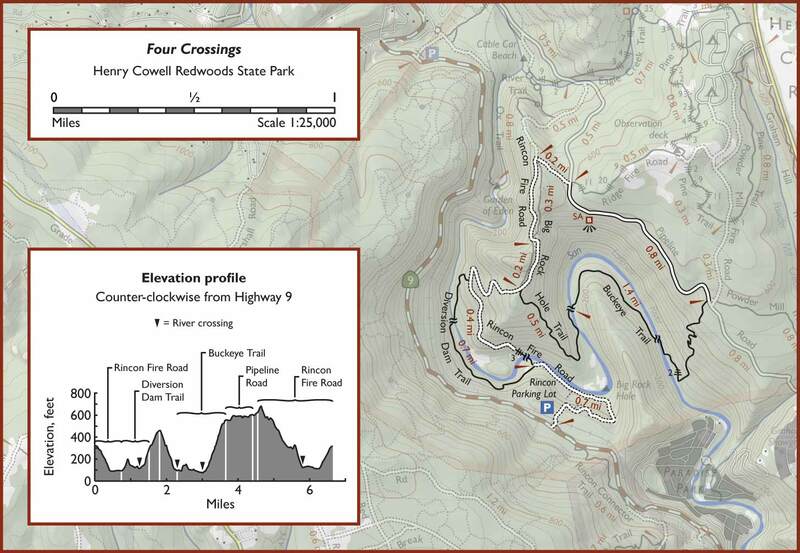 Kevin Gong’s website describes a similar hike, but starting from the old-growth grove.